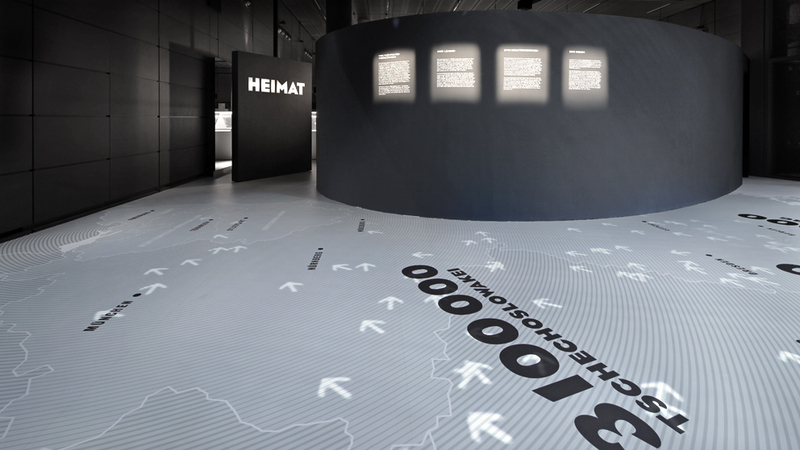 The visitor enters the exhibition through an outer glass wall that appears as a curtain of typography, listing the regions and cities from which over 12 million people were banished. 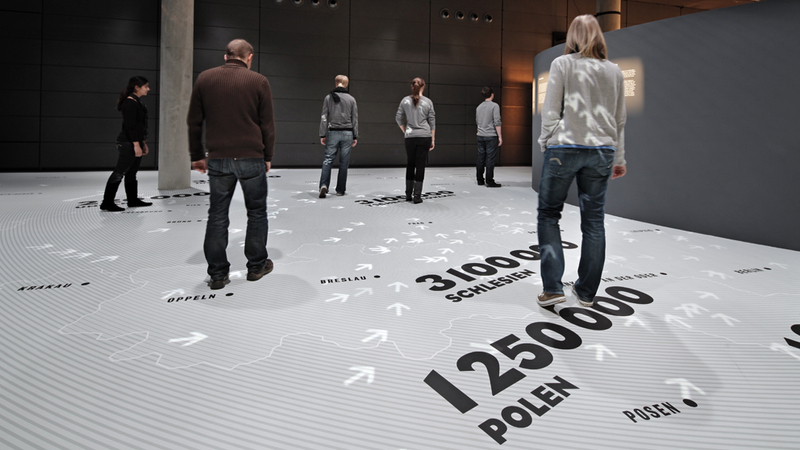 A walkable map of Eastern and Central Europe depicts the origins of the displaced persons through hundreds of animated arrows marking the routes of their escape. A curved wall guides the visitor towards an enormous, slowly rotating „banishment“ door, leading to the »Field of Encounter«. 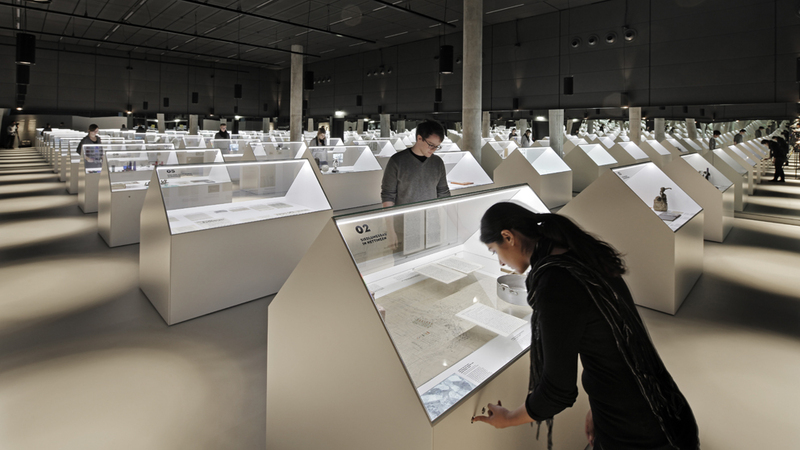 There 28 showcases tell individual stories through various subject areas – living, work, family, church, society etc. 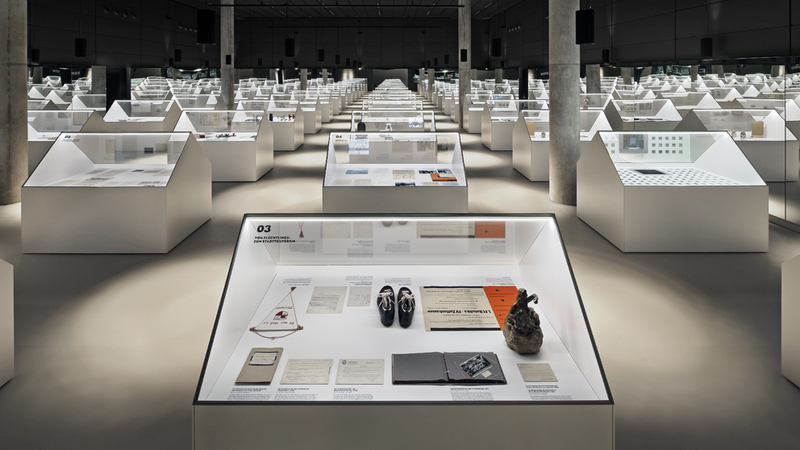 Film and sound are also integrated as contemporary documents. 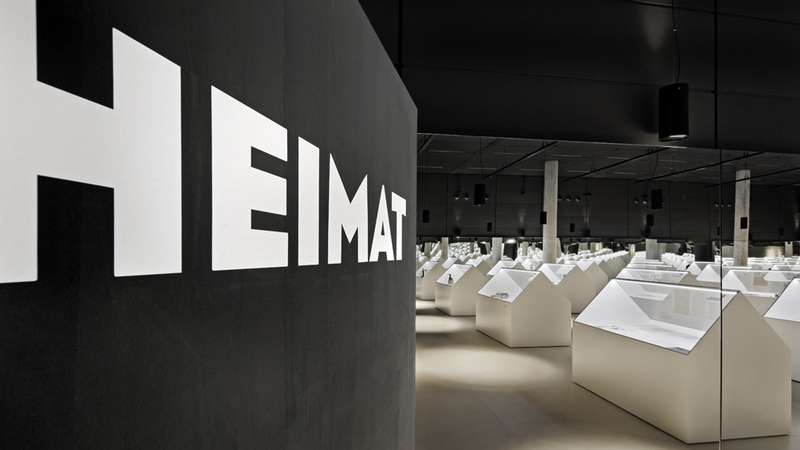 The walls of the room are mirrored to extend the field of showcases infinitely in all directions – these 28 stories serve as examples and were selected from thousands of destinies. 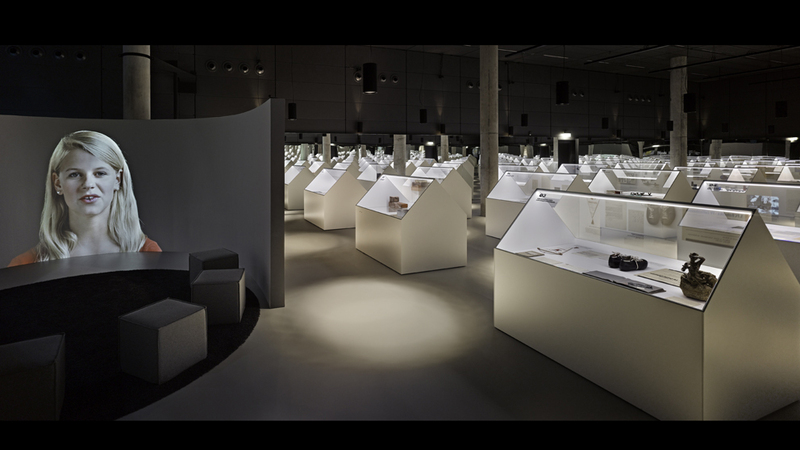 Before leaving the exhibition, the visitor is invited to spend time in the „Contemporary Witnesses Cinema“ showing interviews with displaced persons from the first, second and third generations considering how their identities have changed through integration.